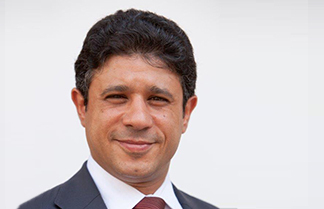 Dr Bassem Kamar is the Lead Economist in charge of the Southern and Eastern Mediterranean countries at the European Bank for Reconstruction and Development. Prior to joining EBRD, he was Economic Expert at the International Monetary Fund (IMF) where he served for over twelve years in various capacities in Washington DC and in regional centers; the last of which was Senior Economist at the IMF’s Middle East Center for Economics and Finance in Kuwait. He is also Professor of Economics at the International University of Monaco where he held the positions of Director of the Doctoral Program, Director of Research and Director of Research Dissemination. He is the author of numerous intellectual contributions and scientific publications, covering policies for implementing monetary and exchange rate regimes, enhancing debt sustainability, attracting foreign direct investments, stimulating small and medium enterprise growth, and strategies for creating employment. Originally from Egypt, Bassem holds a PhD in International Economics and a Post-Doctoral Habilitation to Direct Research (HDR) from the University of Nice-Sophia Antipolis, France.